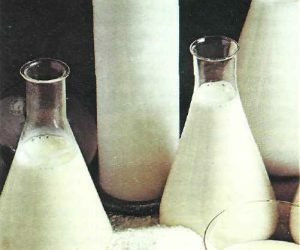 The strict controls in use, in any way, guarantee the quality of milk that once could be partially skimmed the surplus of 4% of obligation and even more. Now they sell the types of whole milk admittedly, partially skimmed or low-fat at all.Even low-fat milk is still full of many substances and is easily digestible. Look with suspicion at the milk which has a slightly bluish transparency. Probably was diluted with water.